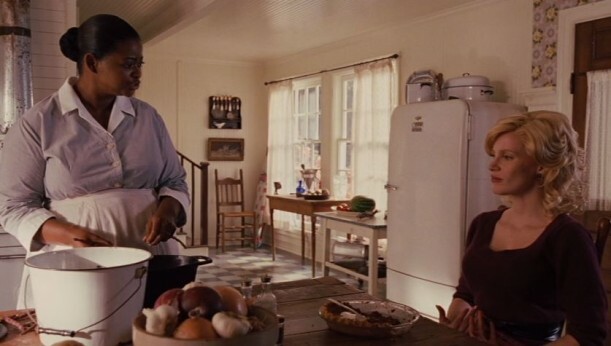 The Help is the story of two women, Minny and Aibileen, who have spent their lives taking care of privileged white families in Jackson, Mississippi. “Skeeter” Phelan is an Ole Miss grad who’s expected to settle down and get married, but she’d rather be a writer. She decides to interview them and write a book about their experiences. The novel by Kathryn Stockett came out in 2009 and stayed on the bestseller lists more than 100 weeks. Before she found a publisher, though, her manuscript was rejected by 60 literary agents (bet they’re kicking themselves now!). Stockett says it was based on her childhood experiences growing up in Jackson and her close relationship with her own nanny, Demetrie. Production designer Mark Ricker and Set Decorator Rena DeAngelo had 47 sets to create for the film. They scoured flea markets, antique stores, and even some old attics to find enough period-appropriate objects to fill the scenes with. 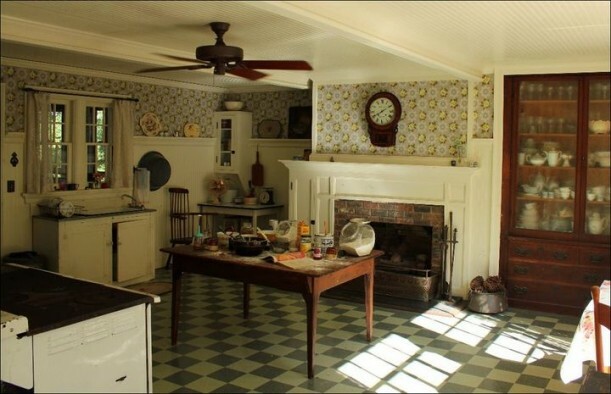 Some of my favorite sets in the movie were the kitchens. Emma Stone plays Skeeter, whose crazy curly hair is the bane of her existence. Allison Janney plays her mother and makes her a bit more sympathetic than she was in the novel. Skeeter’s longtime friend Elizabeth lives in a more modern house in town. Elizabeth’s decor was inspired by Better Homes and Gardens decorating books from the era. Bryce Dallas Howard fearlessly played the horrible Hilly Holbrook. One of the funniest scenes is when Skeeter gets back at her by “misstyping” the newsletter to tell people to drop off their “old commodes” instead of their old coats at Hilly’s house. Ricker says that Hilly’s house style was the “first phase of the new South,” and the interiors are “prim, perfect, pastel and icy”–like her. She says she dreams of filling it with wall-to-wall white carpet and making everything more modern. The stuffed bear in the story made me laugh–especially when Minny had to figure out how to clean it. It came from a taxidermy shop in Wisconsin. Octavia Spencer won an Oscar for her role as Minny Jackson. Mark Ricker says he also looked to the classic Southern movie Gone with the Wind for inspiration. 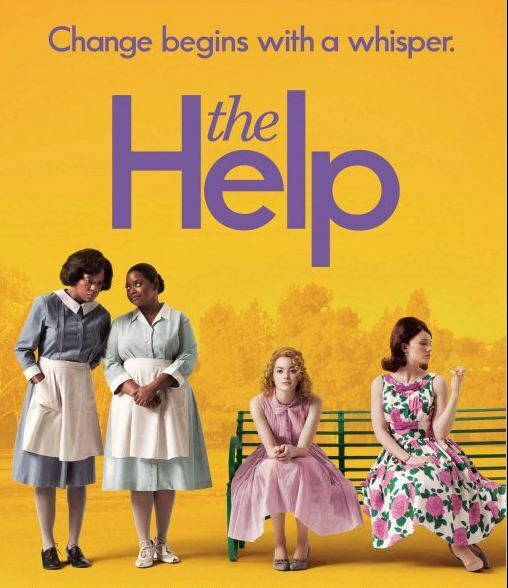 Came a little late to ‘The Help’ party – finished the book last week & am looking forward to watching the movie in the upcoming weeks. Can’t believe the timing of this post!! The book was so good and I’m looking forward to seeing the movies – esp now that I got a sneak peek to the sets!! Keep up the great work!! Having been born in 1943 and growing up in the era of the movie, I noticed the authenticity of the sets, right away. Wonderful book ( couldn’t put it down either) and movie and so pleased they did a fabulous job recreating the homes. I recognized kitchen elements and other furnishings from my own early homes, way back when. I loved the book and movie but watched the movie a couple of times just to see the sets and clothes! I was excited to see a few items that I now own (that came from my Grandmother) in those sets as well! Have been in all these homes. Known their owners. Glad you had a Coke in one of the pics. Knew the Coke bottles were missining from several of the pics. Iced tea glasses too. What a wonderful post Julia! I love it as much as the book and the movie! Having grown up in that era in the south, both the book and the movie rang very true to me. 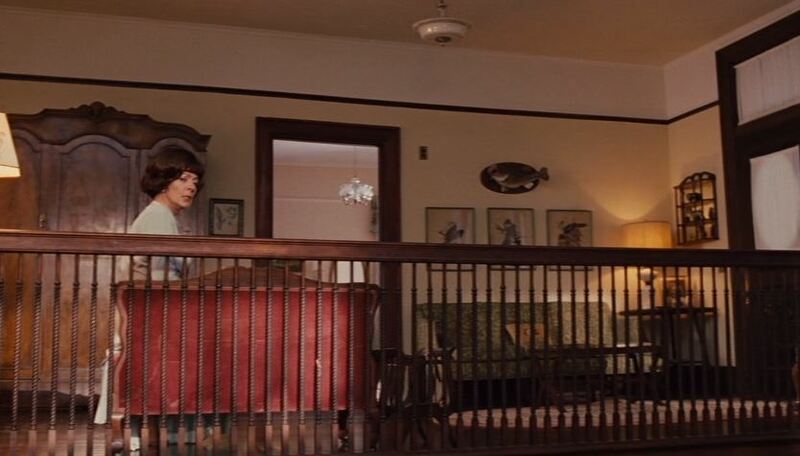 Watching the movie with a few of my contemporaries, we kept saying, ‘oh we had that,’ and ‘I had an outfit almost exactly like that.’ Hilly’s house looks to be of 1920’s vintage, because my house of that age has the exact same bathroom sink and tile treatment. It’s a small bath and I’ve kept the vintage sink and tub, but I put a skirt on the sink. 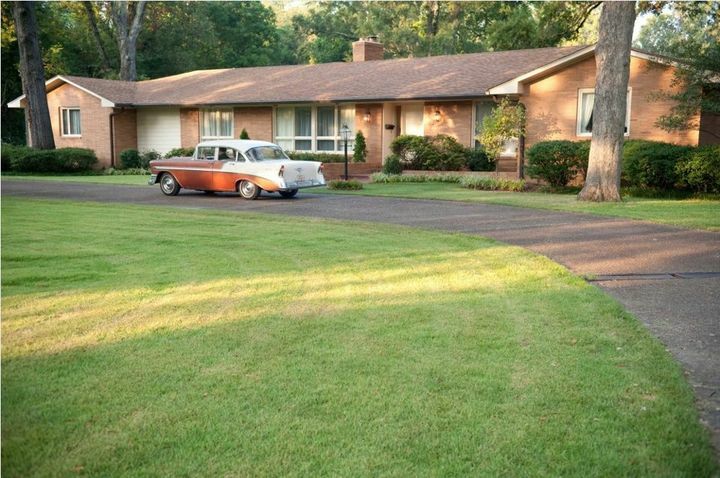 I grew up in a 50’s brick ranch not unlike Elizabeth’s, but smaller, with contemporary furniture of the time. I’m definitely not into 50’s – 60’s retro, having grown up with it! The furniture in Skeeter’s house is very reminiscent of my grandmother’s (though not the house – I wish!). 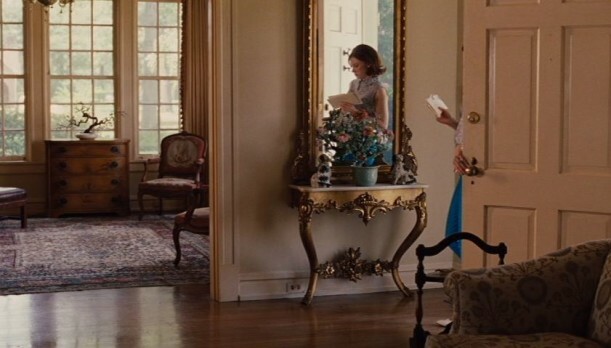 Just saw The Help this past weekend – it was a tear-jerker for sure! And those houses were amazing. I was glued to the movie for the entire time just drooling over the sets and the scenery! I loved the book — definitely one of the best book group discussions we have had. I enjoyed the movie, but it felt just a bit flat for me. The houses are spot on, though. Great post! We lived in a house in Mountain Brook, Alabama that had a maid/gardener’s bathroom you could enter either from the laundry room or the garage. We also had an outdoor water fountain for the gardeners. 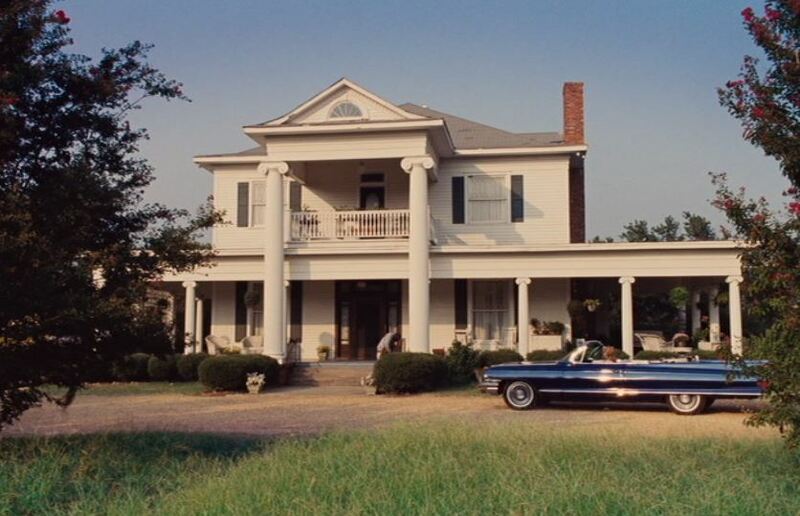 We did not build the house, we lived in it during the 1990’s…it looked very similar to the Leefolt’s ranch, and the brick was even the same color! When we got married we bought a house that was built in 1956!!! 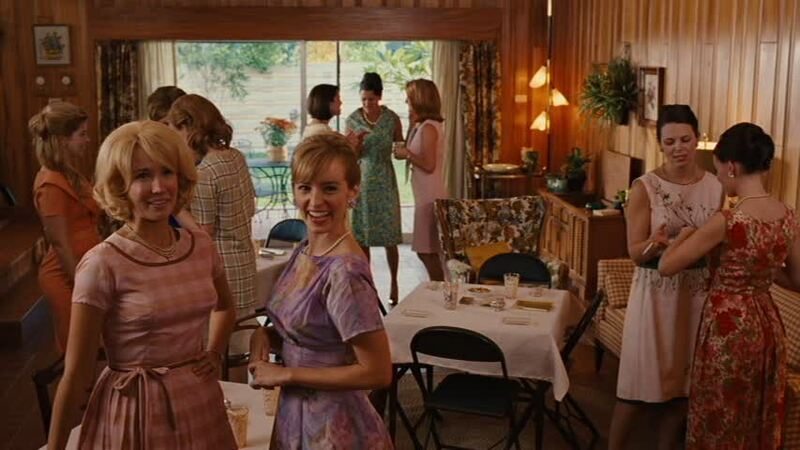 And looking at Elizabeth’s house, it reminds me of the kitchen we lived with for several years before remodeling. And the knotty pine wood paneling in the family room is still there 🙂 We still own the house, with renters living there, but the kitchen has been redone twice, and we have tried to update as much as possible. But it was a walk down memory lane to see the oven, and the wood cabinets in the kitchen. I think we even had the same door handles. Great post Julia…I also loved the book and movie. I thought the homes were all very well done. Last year we bought a 1960’s house and discovered that same brick vinyl flooring under the carpet. That was a fun surprise. I guess it really was popular. I absolutely LOVED this book and movie! Thanks for giving us a breakdown on each of these gorgeous homes. 🙂 *sigh* Your blog just rocks my world. My grandmother still had that brick vinyl wallpaper in her kitchen (on the backsplash AND the floor) into the late 80’s, in a house built in either the late 60’s or the early 70’s! It must have been really popular. I loved the movie too. You are right the kitchens are great. I love the Phelan’s kitchen. 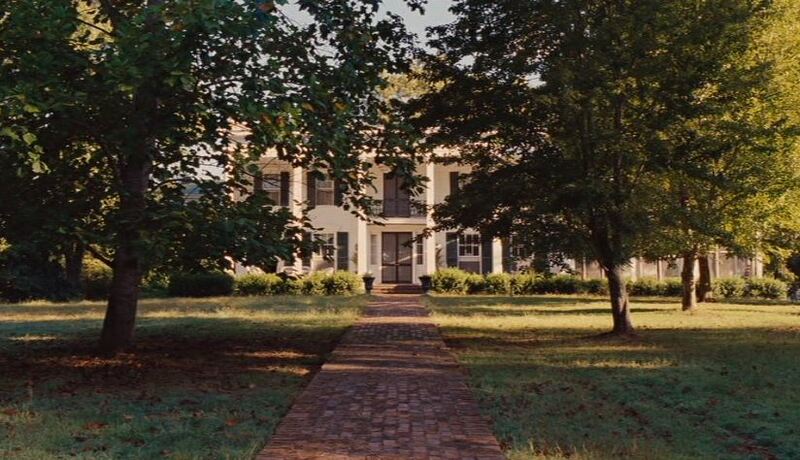 We still have lots of old Southern plantation homes around here and the movie really hit the nail on the head. I love the movie sets and all that goes into the design process. 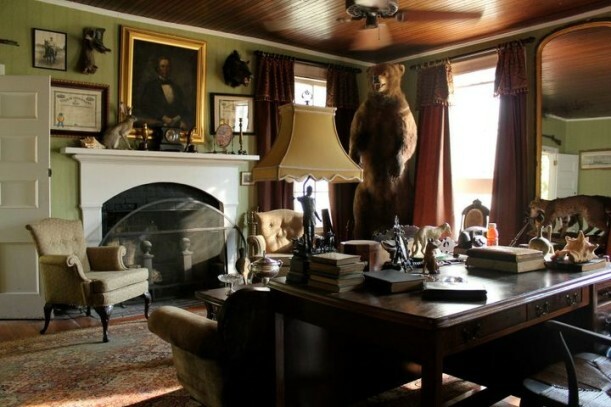 There is a web site that shows many interiors and an interview with the set designers. If you google The Help and the cities used for filming you can get local newspaper articles telling of the experience. Loved them all. As someone who grew up in that era, the sets were spot on. I still remember fondly playing with (and having to clean) the lights on those pole lamps. I love Movie Mondays — thanks for a great post! Ahhh such a great book! I loved Octavia Spencer as many people likewise have said. These homes are just breathtaking. I love plantation style properties in gneneral. Great mix of a big house, open spaces, and nature all around. Kentucky has some of the most beautiful plantation homes I have ever seen. By the way, don’t you just love those old tacky wall-papered bathrooms that came in either pink or olive green lol? Some things are better left in the past! Well said, Laney. Thanks.. The “ugly and the lovely”…. 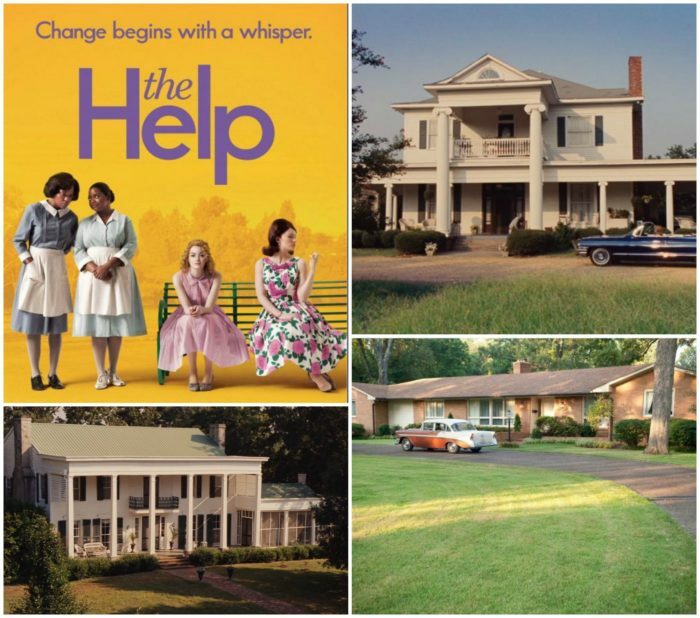 I went to a Southern women’s college in the late 60ies so reading the first 3 chapters of The Help was painful for me. I didn’t like the book mainly because I thought it was arrogant for a white woman to write this and assume she could give an accurate perspective of black women’s experiences. The movie was better than the book. I still had “trouble’ watching it, especially about how white people were (are) in such denial) about anyone whose lives were less than theirs. Thank you, Julia for your efforts to show the film’s sets. 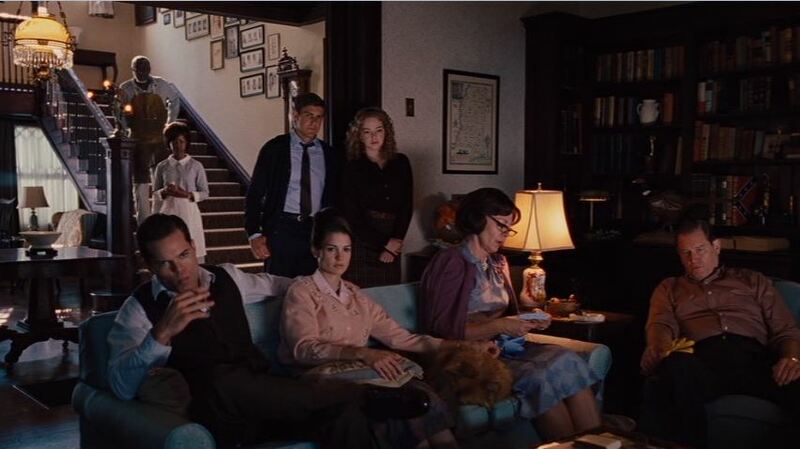 I went to see The Help with a bunch of friends and as soon as the scene with the pink bathroom came on, they all started laughing. Yes, its my bathroom–almost exactly. I keep hoping to remodel it soon (I’ve only lived here for 25 years), but my contractor told me to sell the fixtures on Craigslist. Apparently pink bathrooms are back. There is even a website called “Save the Pink Bathroom”. Such a delightful movie. I loved the book too but while watching the movie I was forever, probably like you, studying what what was going on in the background. This was such a fascinating period in history and an era of design change. Great post as usual. I have been remiss about blog reading so it is fun to see what you have been up to. Celia’s plantation kitchen is my dream kitchen. I wouldn’t change a thing. What gorgeous detailed homes. I had a hard time picking a favorite because all of them were just as nice as each other. 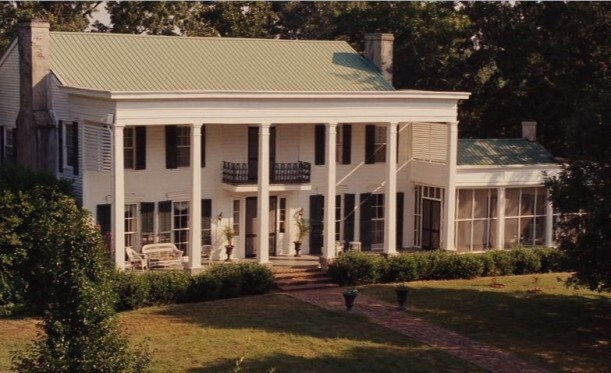 With lots of searching and looking on google, I was able to find Celia’s plantation home. 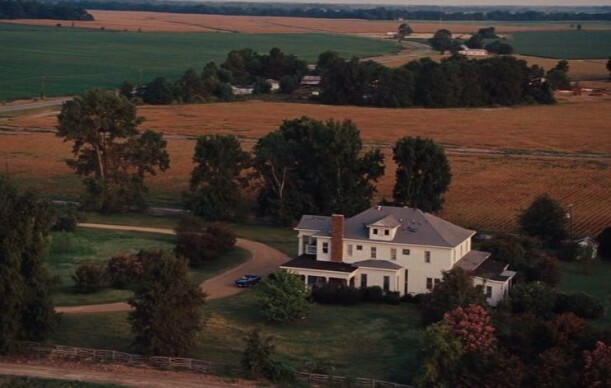 Here’s a bing view and the website to the house: https://binged.it/I0AjTL, https://www.cotesworthcenter.org/Home.html They even mention the the movie being filmed there. Wow, Kim, that’s GREAT. Thanks so much for tracking it down! I loved this post! Thanks for sharing all these great homes from such a wonderful movie. However, I would love to see pictures of Aibileen’s darling cozy home and kitchen! I intended to show hers and Minny’s, as well, but I wasn’t able to find any set photos of them, and the post was getting way too long anyway. I especially liked Aibileen’s kitchen, though. This was a wonderful post Julia (and wonderfully researched too!) I loved the book and felt the movie was one of the best “match the book” movies I have seen. It made me decide it is better to see the movie first and then read the book after (specifically the scene with the chocolate pie made me decide that.) The movie made me feel much more for Celia than the book did…not sure why. Thanks again for a entertaining and enlightening post! 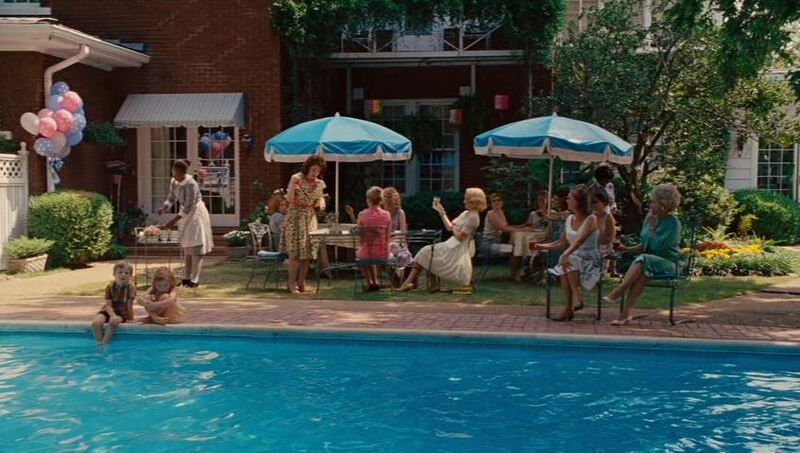 It definitely looks like something straight off the set of The Help! Gorgeous! Thanks for the link, Katherine! Well I’ll just join in with the thousand others to say how much I loved this post – was like re-living the book and movie – and going home again. What a great post. I plan to see the movie –what fun to see the sets. I’m kind of embarrassed, though, I have the same black folding chairs.They’re not that old,but, I guess there’s not much you can do with folding chairs. Those hutches could fit right into today’s homes with the turquoise backs. I love the magic of movies! I am going through a huge Southern obsession right now, so these homes just hit the spot! That pink bathroom! I knew someone with that exact bathroom sink/toilet. I can almost smell the scented soap, all that is missing is a roll of toilet paper hidden under a doll with an enormous skirt. I haven’t seen the movie, but I read the book. 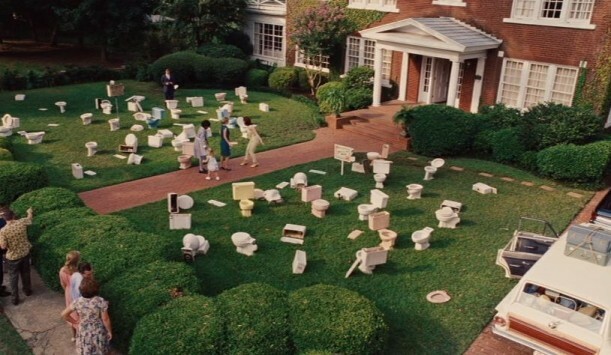 Elizabeth’s house looks much better than I envisioned. In the book, she had aspirations beyond her means. The house only had one bathroom (initially). She was always sewing something, and the results were not good. So, I expected the house to look small and sad. Needless to say our lives have revolved around renovating since the day we moved in- not sure how, but in between home renovations and countless trips to Home Depot and Lowes we managed to fit in having our third child. 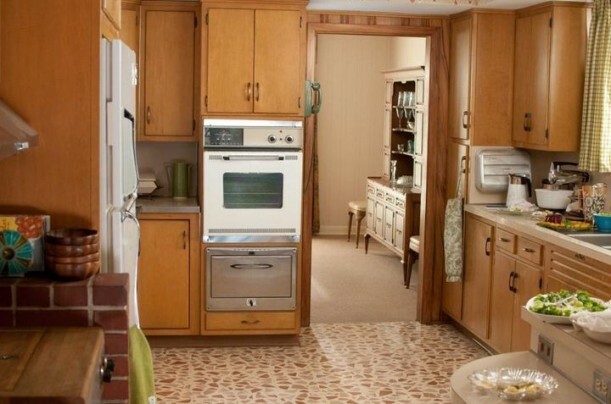 colored ceramic tile in the bathroom, faux brick linoleum flooring, and the oven from Elizabeth’s ranch looks exactly like the one I currently have in my kitchen (we have not mustered up the willpower to start kitchen renovations yet). Haha- when I was seeing the movie for the first time in the theater as soon as I saw the oven I leaned over to my friend and said it looked like mine- she agreed! It’s old, but it works- I wonder if there are any appliances made today that would work for FORTY years!! !